We know, it’s Monday. There’s one thing we all have in common on Sunday nights: we don’t want the weekend to end! 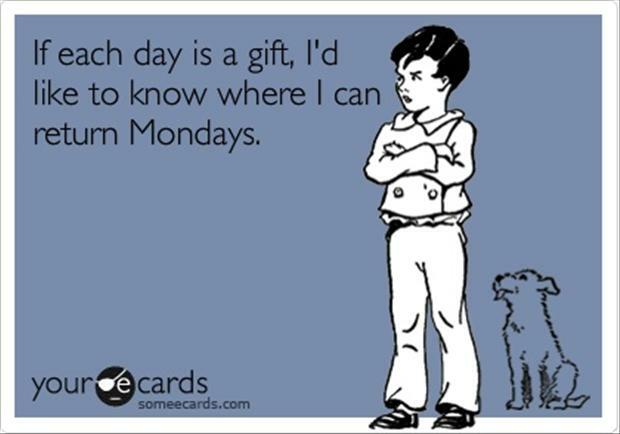 The work week is long and for some reason Mondays always seem like the longest days of all. HowStuffWorks recently came up with some ways to make working on Monday a little better, though. Their “10 Ways to Organize Your Home Office By Next Monday” will help you de-stress and work more effectively— and these tips can apply to your office at work as well as at home. Our favorite is #2 on their list, “Rein in your calendar and to-do lists.” We think we know a software that can help with that (hint: it’s us!). Instead of relying on disorganized post-it notes, planners, and desk calendars, streamlining with ScheduleThing is much easier and more efficient. When you’re less stressed about your schedule, it’s much easier to focus on getting your work done and getting Monday over and done with as soon as possible! If you try these tips, let us know what kinds of results you get and what worked best for you. By this time next Monday, you could have a newly organized office, plus an awesome new way to keep track of scheduling and appointments!